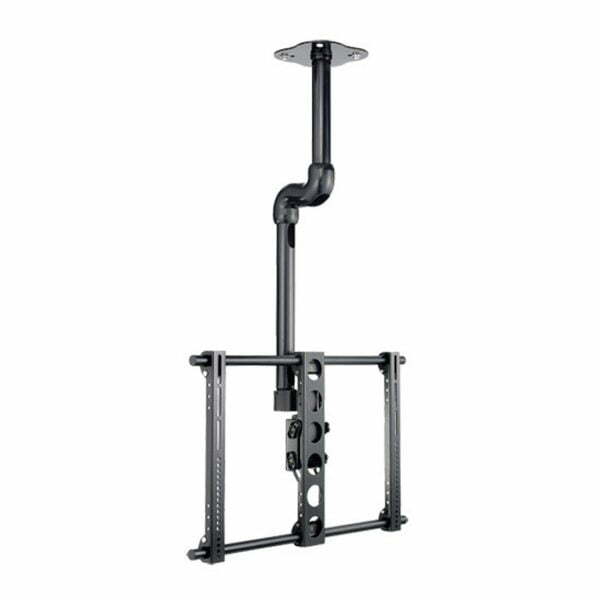 SKU: LC1AB3 Category: TV Wall Mounts larger than 42"
Sanus LC1A-B3 ceiling mount is designed to let you hang your flat-panel TV with ease. With just a light touch, you can tilt the screen and get the perfect viewing angle away from glare and reflections. Virtual Axis technology offers effortless tilt motion without the use of tools. Universal mounting brackets fit nearly all flat-panel TVs. Built-in wire management system routes and conceals cables from ceiling to TV.